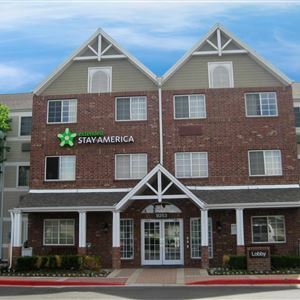 Property Location Located in Greenwood Village, Extended Stay America-Denver-Tech Center S-Greenwood Village is convenient to Fiddler's Green Amphitheatre and Denver Tech Center. This hotel is within close proximity of Lollipop Park and Westlands Park. Rooms Make yourself at home in one of the 100 air-conditioned rooms featuring kitchens with refrigerators and stovetops. Kitchenettes are outfitted with microwaves. 32-inch flat-screen televisions with cable programming provide entertainment, while complimentary wireless Internet access keeps you connected. Conveniences include coffee/tea makers and irons/ironing boards, as well as phones with free local calls. 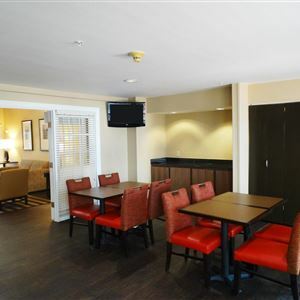 Amenities Make use of convenient amenities such as complimentary wireless Internet access, a television in a common area, and barbecue grills. Dining For your convenience, a complimentary breakfast is served daily from 6 AM to 9:30 AM. Business, Other Amenities Featured amenities include a 24-hour front desk, laundry facilities, and a safe deposit box at the front desk. Planning an event in Greenwood Village? This hotel features 0 square feet (0 square meters) of event facilities. Free self parking is available onsite. Located in Greenwood Village, Extended Stay America-Denver-Tech Center S-Greenwood Village is convenient to Fiddler's Green Amphitheatre and Denver Tech Center. This hotel is within close proximity of Lollipop Park and Westlands Park. Make yourself at home in one of the 100 air-conditioned rooms featuring kitchens with refrigerators and stovetops. Kitchenettes are outfitted with microwaves. 32-inch flat-screen televisions with cable programming provide entertainment, while complimentary wireless Internet access keeps you connected. Conveniences include coffee/tea makers and irons/ironing boards, as well as phones with free local calls. Featured amenities include a 24-hour front desk, laundry facilities, and a safe deposit box at the front desk. Planning an event in Greenwood Village? This hotel features 0 square feet (0 square meters) of event facilities. Free self parking is available onsite.